Did you read the title to the tune of “Do You Want to Build a Snowman?” You did, didn’t you? Disney’s movie Frozen has swept through the culture to become an instant classic movie! We are all Frozen fans, and the soundtrack has even made it on more than one playlist, even DS11’s iPod playlist. While we are driving, it is not uncommon to hear the kids both singing song from this movie. We are Disney On Ice fans, too, and were excited when it was announced that Frozen would be coming to Disney On Ice. This seems like such a great combination, and we can’t wait to see it! 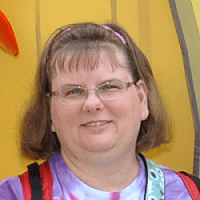 In fact, I am happy to have been contacted by Feld Entertainment to share information about Disney On Ice presents Frozen with you in exchange for a chance for my kids to able to see this show! In case you haven’t seen the sneak peek video, you can check it out below. Doesn’t that look like it will be a great show? I can’t wait to see how they do Olaf and Sven! 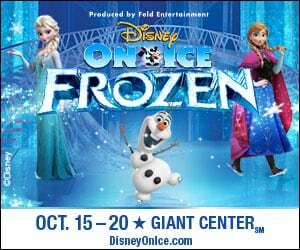 That wait won’t be too long because Disney On Ice presents Frozen is coming to the GIANT CENTER in Hershey, PA next month: October 15-20. We are all excited to get to go! Are you excited to see Disney On Ice presents Frozen, too? If you’d like to purchase tickets to see this at the GIANT CENTER in Hershey, PA, you can do so here. We’re thrilled to be able to give away a Family-Four pack of tickets to the Monday, October 20, 2014 show at 7:00 pm. Please remember that the winner has to be able to see the show at the GIANT CENTER in Hershey, PA on October 20, 2014. No transportation is included in this prize. Ready to enter? Please read the rules below and enter via the Rafflecopter widget below. Rules: Giveaway starts at 12:00 pm EDT on September 11, 2014 and ends at 11:59 pm EDT on September 25, 2014. Open to U.S. residents 18 years old and older. No purchase is necessary to win. Void where prohibited. Odds of winning depend on the number of entries collected. The winner will be chosen by Random.org via Rafflecopter and will have 48 hours to respond after being contacted by email. Please make sure to use a valid email address. Facebook, Twitter, Pinterest, and Google+ do not endorse this, nor sponsor this giveaway. Nor are Facebook, Twitter, Pinterest, or Google+ affiliated with this giveaway in any way. This Roller Coaster Called Life is not responsible for prize fulfillment. Additional rules here. Disclosure: In exchange for this promotion, my family will be able to see Disney On Ice presents Frozen free of charge. I’m happy to get the chance to not only allow my kids to see this presentation but to also be able to give a set of tickets to someone else. I received no other compensation. All opinions are my own. Wish I lived closer because I would love to see Frozen on Ice — that sounds kinda funny now that I look at it because ice is frozen. LOL. I will have to watch and see if it comes to my area in Michigan, I really hope it does because we love Frozen and anything Olaf!! How fun! I have GOT to watch this movie! My nieces and everyone around has been talking (and singing) about this movie! I must get out there and see it! This looks like so much fun!!! My kids would love this. We went to see another Disney on Ice and it was really fun. Frozen would be awesome. Oh yes! That would be super fun! It’s going to be an instant hit everywhere! The amazing smell is chocolate! And I would love to take my family!